Save the Planet! Kill the People! In the May 11, 2010 issue of the Proceedings of the National Academy of Sciences (PNAS), John Avise authored a paper titled “Footprints of Nonsentient Design Inside the Human Genome” (Avise, 2010). In this article, Avise highlighted several alleged evidences from the human genome which, according to him, prove it could not have been created by intelligent design, but rather must be a product of natural selection over countless years of time. The author calls his evidence an “argument from imperfection.” The thesis for his argument in favor of evolution is that the human genome, while undeniably complex, is riddled with errors and imperfections. Avise contends that the simple presence of these alleged fallibilities argues against an omnipotent Creator and, instead, is evidence for a nonsentient process (natural selection). This article addresses each of the major arguments posed by Avise. The first argument posed by Avise is little more than an offshoot of a widespread argument questioning the existence of God: the problem of evil, pain, and suffering. In his paper, Avise describes the large compendium of known human diseases and disorders caused by genetic mutations and chromosomal abnormalities. His point: if the human genome were created by intelligent design, why would a designer intentionally infuse error into his creation, which would lead to human disease? The author contends that the flaw in this design is evidence that it was, in fact, not designed. It is well known—even to those far removed from science and medicine—that numerous human diseases and disorders trace their causality back to DNA and genetic mutation (e.g., sickle-cell anemia, cystic fibrosis, phenylketouria, and brittle bone disease, to name a few). The question then becomes, if the human genome were designed by an intelligent designer (God), why would He infuse error, which leads to human disease? There are several answers to this question. The first was posed by Avise himself: “An apologist for the intelligent designer might be tempted to claim that such deleterious mutations are merely unavoidable glitches or secondary departures from a prototypical human genome that otherwise was designed and engineered to near perfection” (Avise, p. 8972). In other words, God created Adam and Eve with no errors (mutations). However, spontaneous mutations arose by natural forces in successive generations, which have led to the disease-causing mutations that we see today. There is probably some truth and some fault in this line of thinking. God undoubtedly created the first man and woman with genetic perfection (cf. Genesis 1:31—“very good”). However, God in His infinite wisdom would never create perfection, only to allow it to become imperfect, without knowing that outcome from the beginning. When Adam and Eve sinned, they opened the floodgates to innumerable complications and distortions of the originally perfect creation. While God did not cause the perversion of perfection, His foreknowledge of it allowed Him to order human existence in a way that He could use the calamity to bring about His ultimate, good will. Second, imagine a world where there is no disease—a health-utopia if you will. Without disease, there is no suffering. Without disease, there is no death. A world devoid of suffering and death due to health problems seems quite enticing. However, what would happen to our natural resources and space constraints if human longevity and fertility were extended? The Earth of six billion people present today would, instead, contain untold numbers. Extending this to all organisms, a disease-free pool of animals and plants would very quickly overpopulate the planet. Disease, while having terrible consequences that we all must face, serves in part to control the population of humans as well as that of all species. Third, throughout Scripture we can see God using disease and the healing of disease to illustrate His own power and prove His existence. How many times in the Old Testament did God work through prophets to heal the sick? How many ailments were cured by Jesus to prove that He was the Messiah? God has used the healing of disease throughout time to serve as a sign, to bring attention to one individual and what he had to say, and for His own glorification. Disease is not just a plague on mankind, but rather a tool used by God. [G]ratuitous or unnecessary, biological complexity—as opposed to an economy of design—would seem to be the antithesis of thoughtful organic engineering. Yet, by objective scientific evidence, gratuitous and often-dysfunctional complexities (both in molecular structure and molecular operations) are so nearly ubiquitous as to warrant the status of hallmarks of the human genome (Avise, p. 8972). Two major areas of complexity are addressed by Avise as being “gratuitous”: gene splicing and gene regulation. Gene splicing still puzzles scientists today, more than 30 years after its initial discovery. Most eukaryote genes (DNA sequences that code for proteins) exist in their respective genomes as fragmented DNA sequences separated into these pieces by other non-coding DNA. The intervening non-coding sequences are known as introns, while the fragments of functional coding DNA are known as exons. When genes are transcribed into mRNA prior to protein production, the introns must be cut away and the fragmented exons spliced together to generate a functional mRNA molecule ready to be read into protein. See Figure 1. 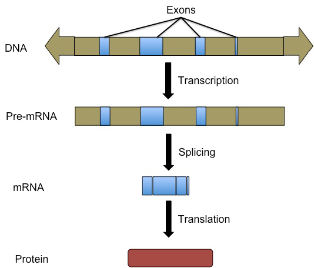 Figure 1: Exons are the coding sequences of human genes that are transcribed, along with intervening sequences known as introns into a pre-mRNA molecule. The splicing process allows the pre-mRNA to be cut, the introns to be removed, and the remaining exons to be spliced together to form a functional mRNA molecule. The resulting mRNA is then used as a template to generate a functional protein. As described in this article, a vast amount of genome space, cellular energy, time, and other resources are devoted to this splicing process. The author makes the claim that this rigmarole (to get a functional mRNA) is overly complex and thus evidence against a Creator. The problem with his logic is twofold. First, there are known advantages attained by the human cell because we splice our mRNAs. The human genome encodes an estimated 24,000 different genes. But, through a process known as alternative splicing, our cells have the capacity to make much greater numbers of distinct proteins. Most genes whose exons are spliced may be spliced together in different ways using different combinations of exons. This allows for one gene in the human genome actually to manufacture multiple, distinct protein products, extending what we refer to as the proteome into a size much larger than that of the genome. Furthermore, alternative splicing allows a single uniform human genome to encode countless different protein combinations, making our differing cell types unique. For example, a neuron is a neuron because it produces one set of protein products, while a muscle cell has its own unique properties because it produces a distinct compliment of proteins. Likewise, red blood cells and liver cells each have their own specific repertoire of proteins that make them specialized and unique. The second problem with this logic is that if we assume gene splicing is gratuitously complex, then why would natural selection have favored its inception and maintenance over millions to billions of years? Bacteria do not splice their genes and even lack the machinery for the splicing processes. So, if splicing arose by evolutionary mechanisms and is found in higher organisms, then according to evolutionary theory, it must present some fitness advantage. Avise argues that splicing is too complex and that the fitness costs outweigh the benefits. This simply does not conform to the paradigm of natural selection. The truth is that splicing is an advantage to eukaryotic species, including humans, and is one of many reasons why we are more complex than bacteria. Therefore, this advantageous process is not a mistake of creation, but rather a highlight of creation. Why an intelligent and loving designer would have infused the human genome with so many potential (and often realized) regulatory flaws is open to theological debate. Any such philosophical discussion should probably include the issue of whether the designer was fallible (and if so, why?). It should also address whether the designer might have recognized his own engineering fallibility, as perhaps evidenced, for example, by the DNA and RNA surveillance mechanisms that catch some (but not all) of the numerous molecular mistakes (p. 8974). He goes on to write that “the complexity of genomic architecture would seem to be a surer signature of tinkered evolution by natural processes than of direct invention by an omnipotent intelligent agent” (p. 8974). The sheer arrogance of statements such as those above is astounding. Molecular biologists, such as myself, are quick to explain that we understand only a tiny fraction of the complexities of gene regulation. Science is in no position to begin discussing the problems of gene regulation on a philosophical level, because there is so much that we do not know. New layers of gene regulation are discovered on a regular basis. One of the most recent, major discoveries is micro RNAs (miRNA), first identified 17 years ago, whose full scope for regulation was not realized until this decade (He, 2004). The complexities of gene regulation are what drive every aspect of cell and organismal physiology. To put it simply, they are what make us tick. Do “mistakes” occur? Sure. But, who can know the potential advantages of these alleged mistakes in the big picture? Certainly not Dr. Avise. The diploid human genome is roughly six billion base pairs in length. But, it is estimated that less than 2% of the genome is composed of functional, protein-coding DNA sequences. The vast majority of the DNA sequence consists of non-coding introns, regulatory sequences, repetitive DNA elements, and other uncharacterized sequences. DNA is the basic genetic material because it codes for the proteins and RNAs needed for all biological processes. So, as Avise notes, why is there so much non-protein coding DNA sequence that some have called “junk DNA”? He makes the argument that if the human genome were truly designed, it is a flawed, wasteful design. On the surface, the huge quantity of allegedly useless DNA does seem quite wasteful. Every cell that divides must duplicate all of its extra DNA and carry these “extra pounds” along each generation. If this DNA truly is useless, then it is a time, energy, and resource burden on the cell. But our cells seem to function just fine with the extra DNA. If the human genome arose by evolutionary means, natural selection has not favored discarding this DNA over the alleged billions of evolutionary years. So, the repetitive DNA elements would not seem to be an evolutionary fitness disadvantage. The human genome is an immense, complex set of nucleotides that carries all of the information needed to properly form a human being and to sustain his or her life. Since its sequencing in 2003 and even well before, there has been an explosion of scientific inquiry into the inner workings of this amazing genetic material. We know, through our scientific explorations, that the human genome across the human population does contain mutations, structural abnormalities, and other anomalies. Many of these are inert, causing no disease or harm to their bearers, while others cause a variety of human diseases and disorders. The truth is that the so-called imperfections in the human genome are neither evidence against a Designer, nor are they evidence in favor of natural selection and evolution. A commentary to Avise’s article was published in PNAS in the July 27 issue calling into question the overall thesis of his work. Philosophy professor Michael Murray and biologist Jeffrey Schloss wrote: “Arguing that the presence of ‘genetic evil’ undercuts appeals to divine agency is superfluous and detracts from rather than advances scientific discussion…the line of argument made against ID [intelligent design—WB] is, in addition to being superfluous, actually unsound” (Murray and Schloss, 2010, p. E121). Countless highly structured characteristics of the human genome provide evidence for intelligent design. These range from the four simple nitrogenous bases (A, T, G, and C) that make up the vast expanse of the genome, to the incredibly ordered packaging of DNA into the cell nucleus. God has clearly demonstrated His hand in the design of the human genome. The “imperfections” that Avise brings forth pale in comparison to the overwhelming functionality of this genetic marvel. Avise, John C. (2010), “Footprints of Nonsentient Design Inside the Human Genome,” Proceedings of the National Academy of Sciences USA, 107:8969-76. Behe, Michael J. (1996), Darwin’s Black Box: The Biochemical Challenge to Evolution (New York: The Free Press). He, Lin and Gregory J. Hannon (2004), “MicroRNAs: Small RNAs with a Big Role in Gene Regulation,” Nature Reviews Genetics, 5:522-31. Murray, Michael J. and Jeffrey P. Schloss (2010), “Evolution, Design, and Genomic Suboptimality: Does Science ‘Save Theology’?” Proceedings of the National Academy of Sciences USA, 107:E121. Petherick, Anna (2008), “Genetics: The Production Line,” Nature, 454:1043-45.